Pool looks great. Great job Lloyd and team. Thanks for all the work. The pool looks Great!! We’re all very pleased with it, thank you. I would just like to place on record my appreciation for the excellent job done in replacing my pool liner. From start to finish the care and attention to detail has ensured a quality finish that I am very pleased with. Dan, Brian and James did exactly what you said they would do, that is, take pride in their work to ensure what was achieved reflected their experience and best effort. 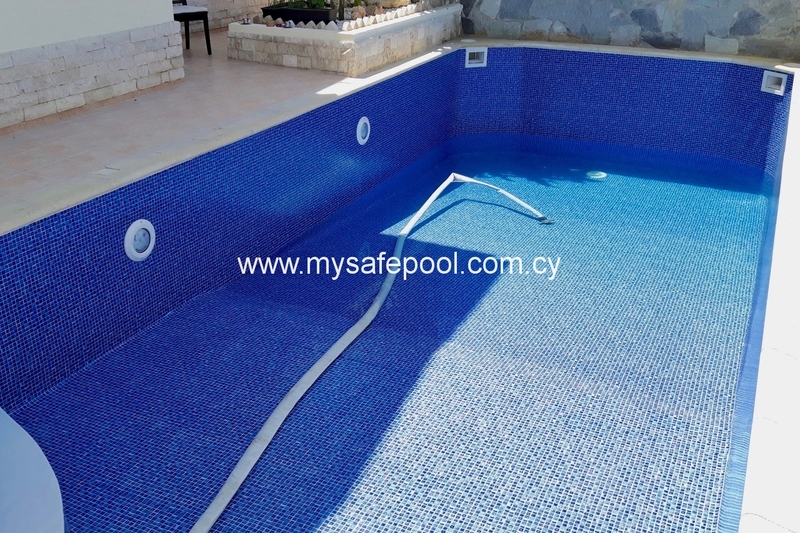 I would have no hesitation in recommending you and your company to anyone who is thinking of replacing a pool liner, the end result is testimony to a quality product and service. Once again many thanks. Thank you for the very thorough and professional way in which you and your team have undertaken my work. I have been most impressed. 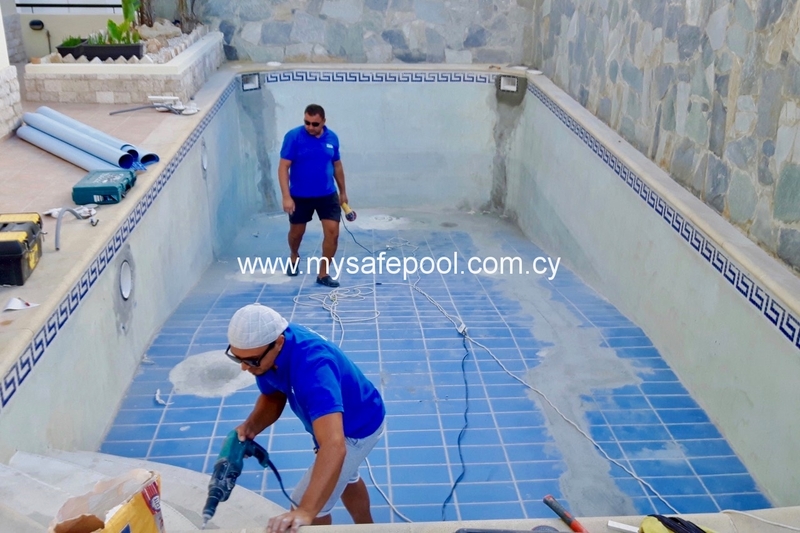 Lloyd, we just wanted to say a huge “thank you” to yourself, Dan and James for the way you all worked to complete the installation of our new pool liner. From your first visit to us, quotation, inspection and installation you have definitely excelled in customer service. 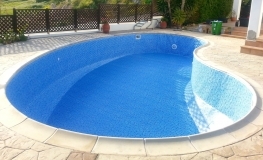 We are so pleased with how our new liner looks and this has been reiterated by all our friends and visiting family. The darker liner certainly keeps the pool warmer, a good four degrees more than our neighbours!! Thank you once again, and we would have no hesitation in recommending your company. 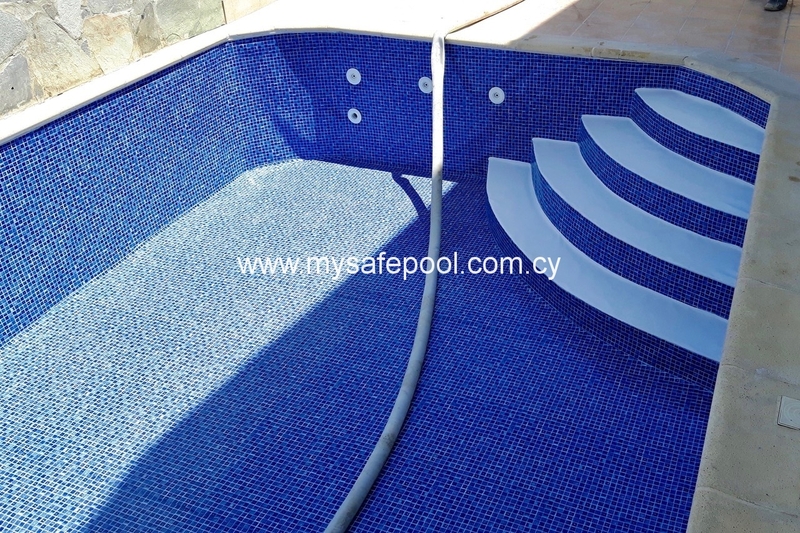 PVC POOL LINERS HAVE A TYPICAL LIFE OF 8-12 YEARS. After that they need to be replaced. 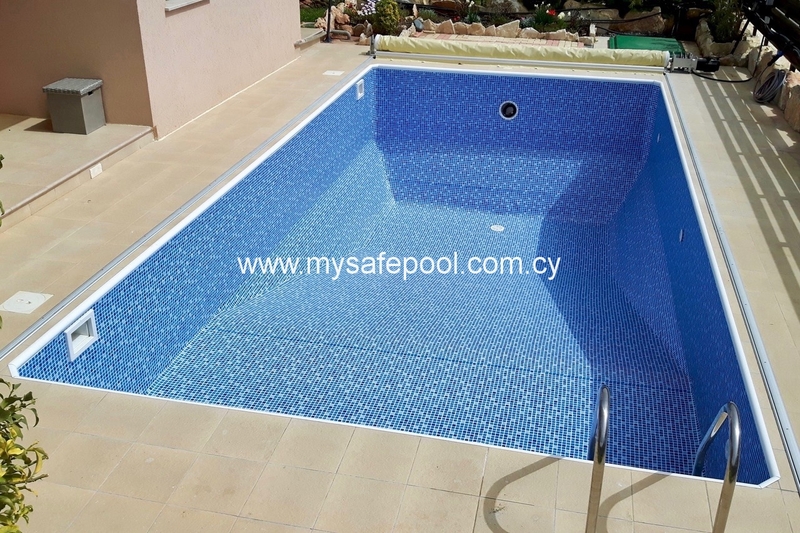 When the time comes to replace a pool liner, it’s important to make the right choices in terms of the liner material and the company who will carry out the replacement. 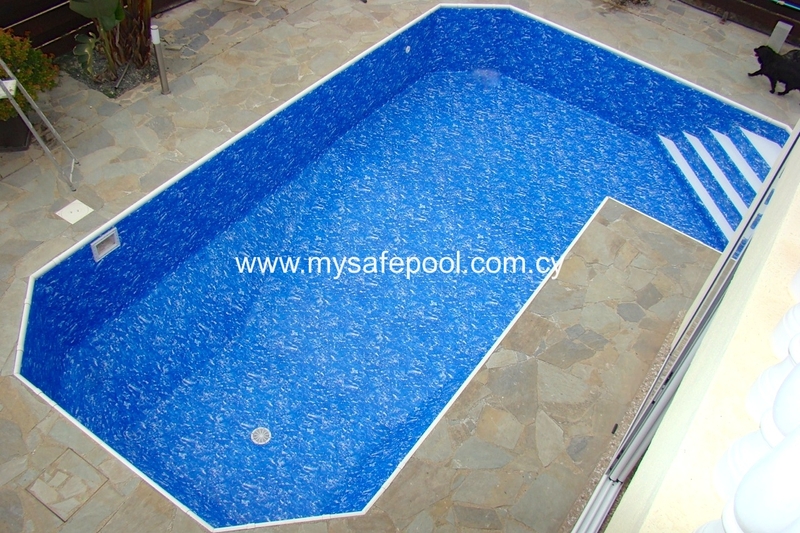 German and American pool liners are considered to be among the best. 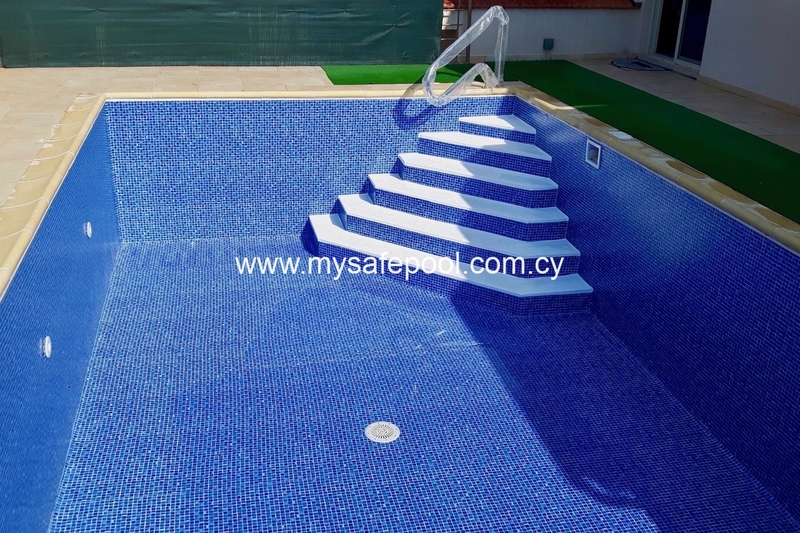 These reinforced liners come 1.5mm thick and feature a wide range of attractive designs. 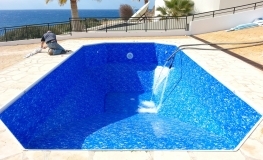 The liner membranes are stabilised against UV degradation and are resistant to ageing, fungal and bacterial action, stains, abrasion and scratches. These long-established and highly-respected manufacturers are so confident of their liners that they guarantee the waterproofing properties for up to 10 years*. While the quality of the replacement liner is important, so too is the competence of the people who will install the liner. The installers need to have a wealth of knowledge, skill and experience if a pleasing result is to be achieved. 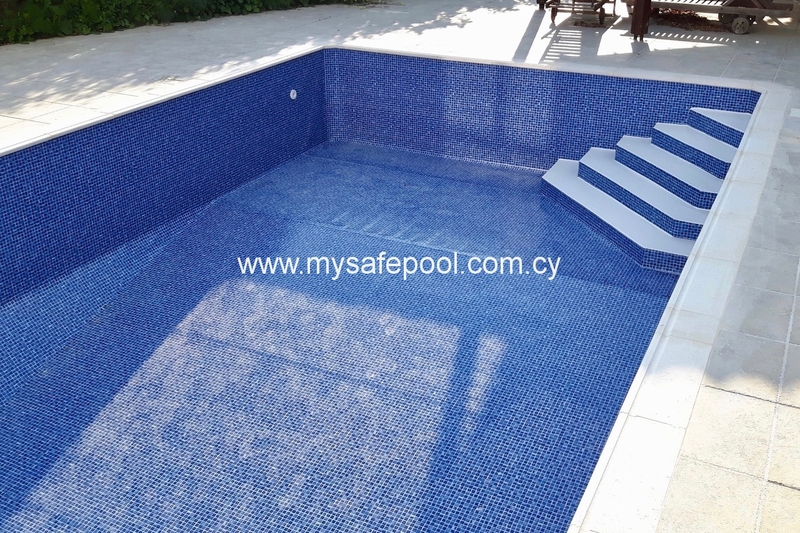 WHY CHOOSE SAFE.T.FIRST TO REPLACE YOUR POOL LINER? 1. 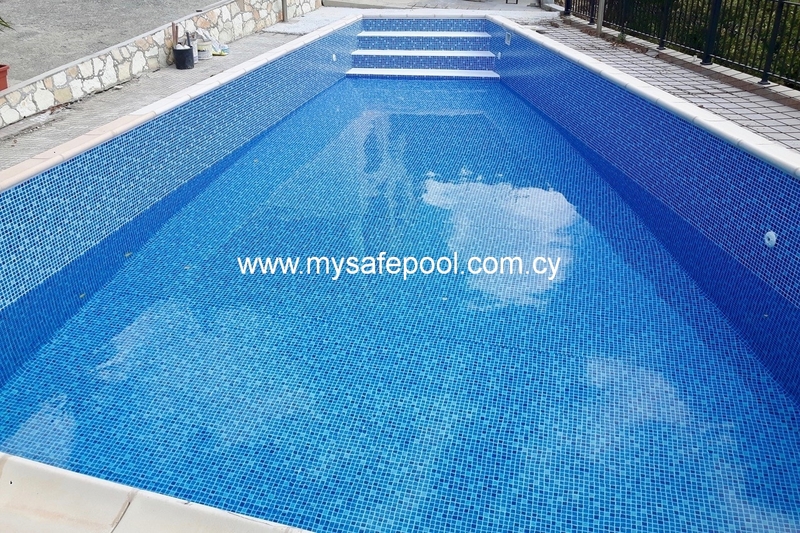 Safe.T.First has an enviable reputation for professionalism, quality of product and first class workmanship. 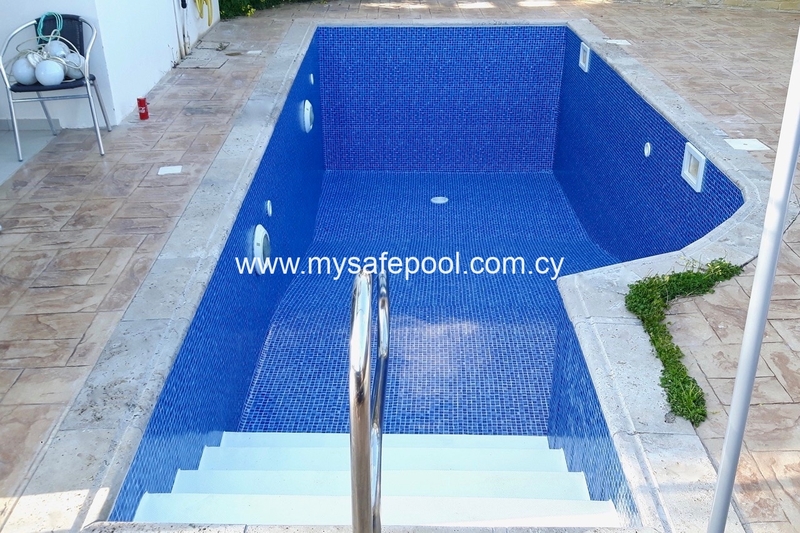 Since our company was formed in 2005 we have established a reputation for installing pool safety fences to an exceptionally high standard. 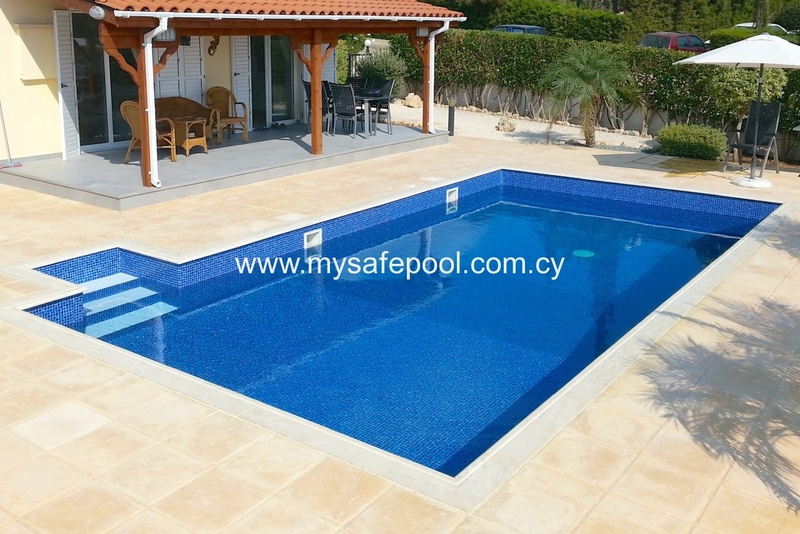 In 2008 we started installing pool covers and we are now a leading supplier of pool covers in Cyprus. 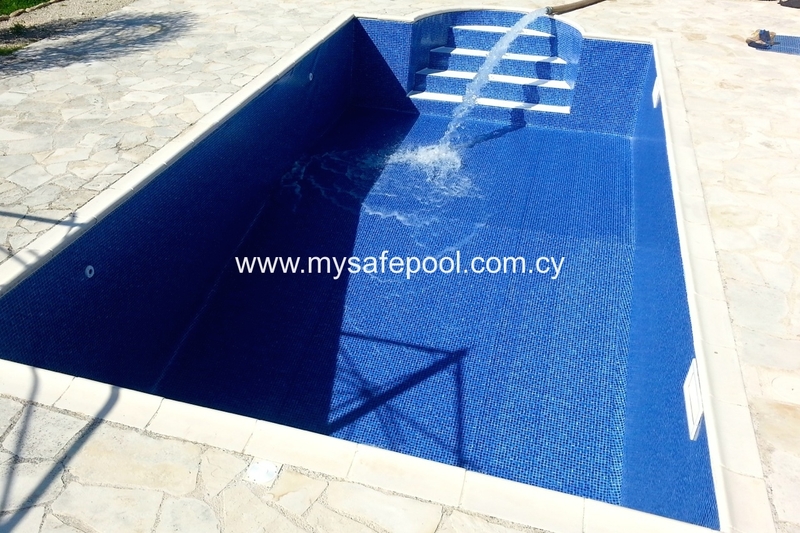 In 2014 we resolved to set new standards in the field of pool lining. 2. We only supply quality liners. We will not jeopardise our reputation and risk disappointing customers by installing poor quality liners. 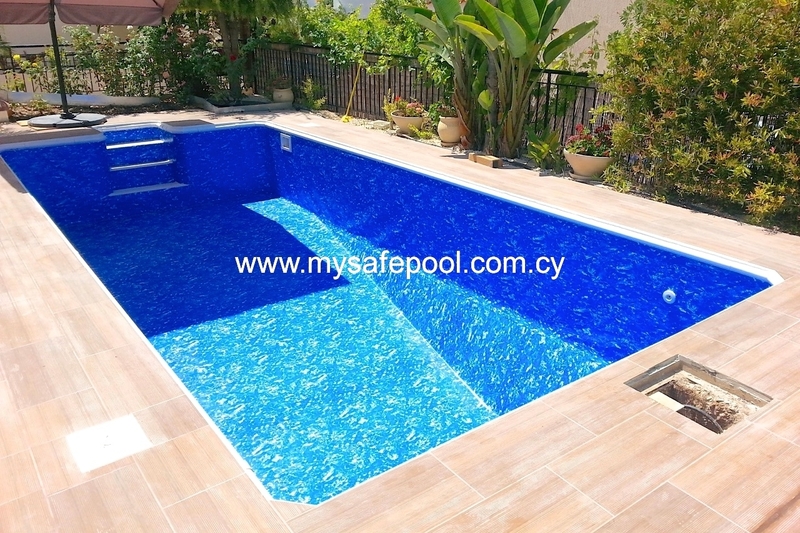 Cheap pool liners are a false economy and are unlikely to withstand the harsh Cyprus climate. That’s why we specialise in German and American liners. 3. Our philosophy is that there’s only one way to do a job – and that’s to do it right. For this reason we only engage skilled, trained technicians who are motivated to do the job well. 4. Our GUARANTEE. In addition to the liner manufacturer’s warranty, we guarantee our workmanship for a full 12 months following installation of the liner. 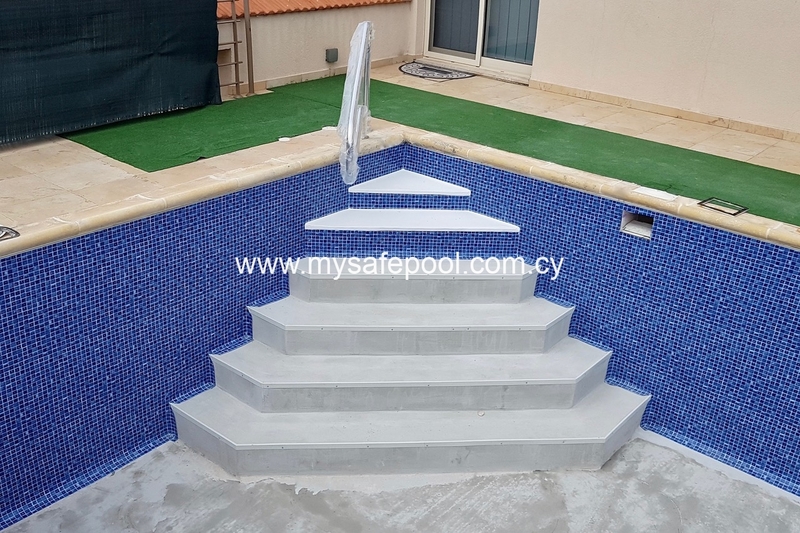 Installing walk-in steps in a corner of the pool. 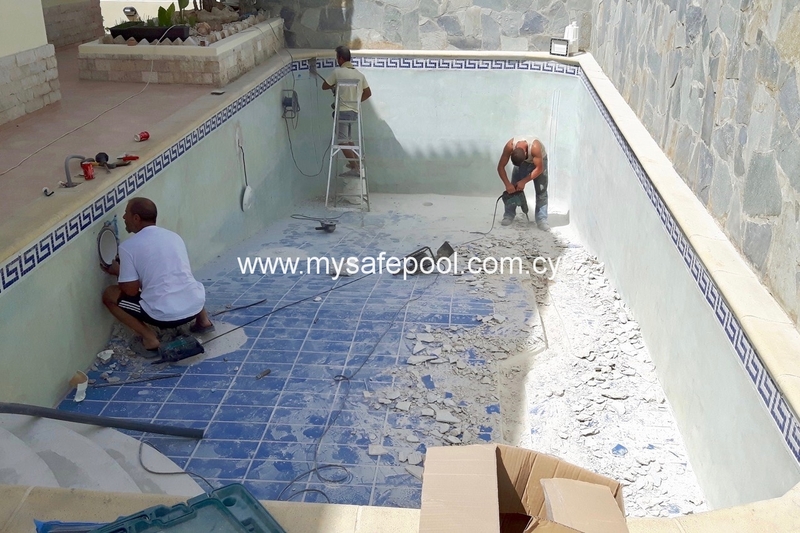 Smoothing the floor and walls of the pool prior to re-lining. Pressure testing, leak detection and repair. Removal and disposal of the old pool liner. Elimination of algae which may have built up on the pool walls and floor underneath the old liner. 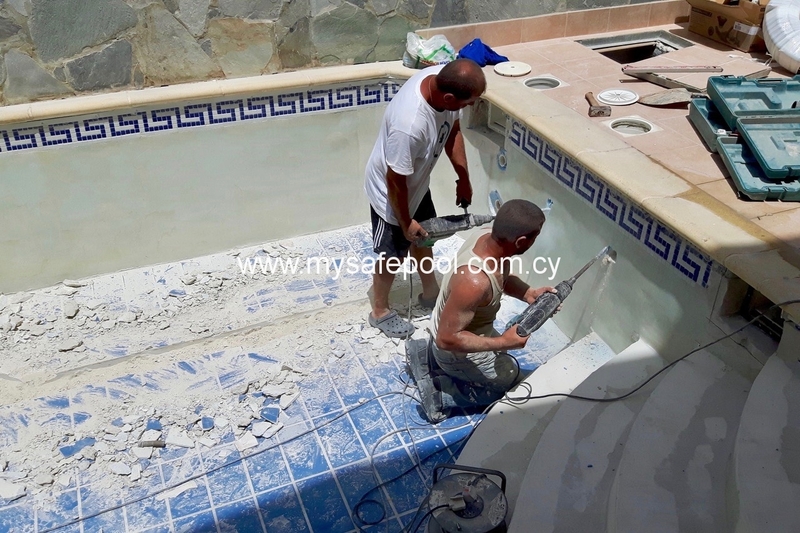 Making good minor defects to the walls and floor of the pool. 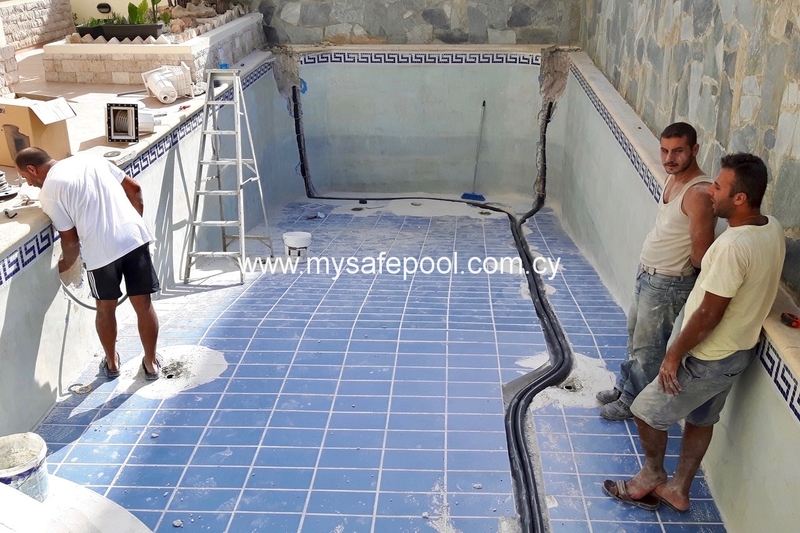 Lining the pool with the customer’s choice of liner. Where there are walk-in or Roman steps, application of white anti-slip material to the step treads. Emptying the pool of water, though advice is given on how to do this. 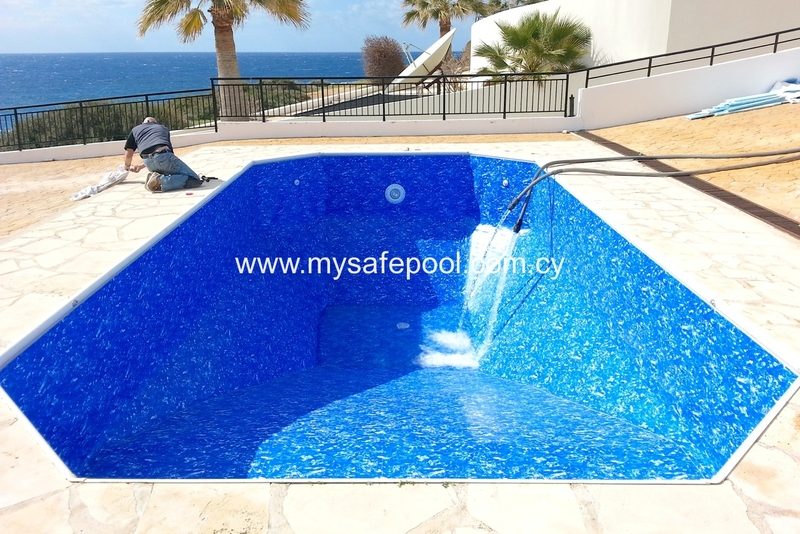 Repairs or additional work to the walls and floor of the pool which becomes evident after the old liner is removed. Examples of this are cracks in the concrete, ingress of tree roots, excess amounts of algae/slime and exposed rebar which has gone rusty. The cost of new faceplates, drains, returns and pool lights. These are chargeable extra, where required. Cost of water to fill the pool on completion. However, we can arrange this for you. If you have any questions, or would like a quotation, please ask. 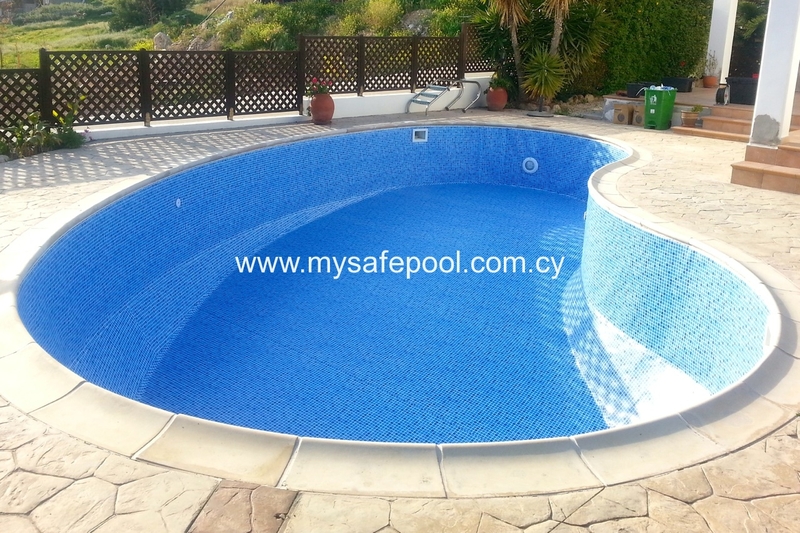 Because of the many variations in pool size, shape and depth, we will almost certainly need to make a site visit before providing a quotation. * The manufacturer’s 10 year warranty is conditional on a number of factors including: the correct use of quality (ie. 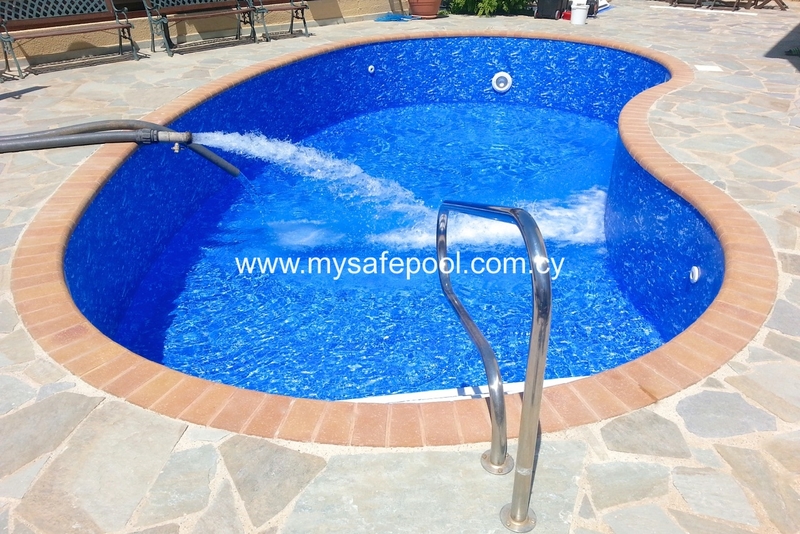 European grade) pool chemicals throughout the life of the pool; pool water being maintained at the correct level throughout the life of the pool; the avoidance of excessive suncream use by bathers; the avoidance of abrasive cleaning action or harsh chemicals around the waterline; deliberate or accidental damage to the liner, mis-use, Act of God, etc. Full details provided on request.